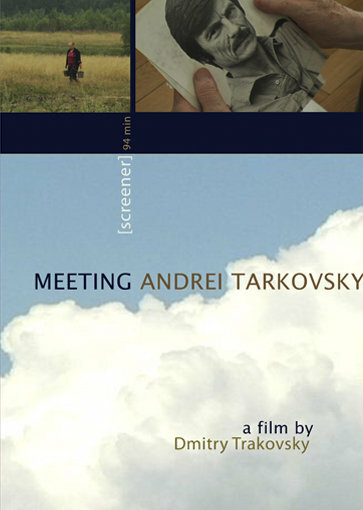 Dmitry Trakovsky's Meeting Andrei Tarkovsky will have its UK premiere at the Leeds International Film Festival. It is being shown on 07/11/08 and 08/11/08. More information here. The film just won a Jury Special Mention at the Sao Paulo International Film Festival. Don't miss this blurb on Dmitry. Finally, here's some more news from Brazil. For more updates, join the Meeting Tarkovsky facebook group. Offret is being screened at Stockholm Konserthus on November 9 during their annual Tonsättarfestival. More info here. Booklet for the screening (images provided by Nostalghia.com/Löthwall) can be viewed here. Nathan Dunne's (Ed.) 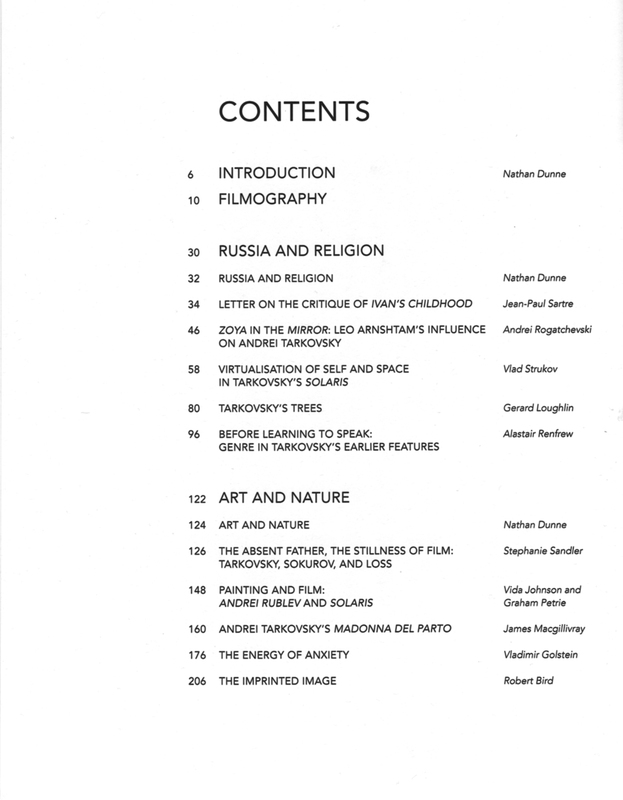 Tarkovsky has been reviewed in the latest issue of film-philosophy.com. Access the review here. based on ideas and images from The Mirror. It runs until mid November. to help launch the exhibition. Later it will be going on to Moscow. I've contributed a short essay to the catalogue. Further to the above, Sergei Sviatchenko kindly provided the following images — click for larger versions. Three years ago, pre-med student Dmitry Trakovsky sent us an email asking for pointers and advice to help him get his film production off the ground. 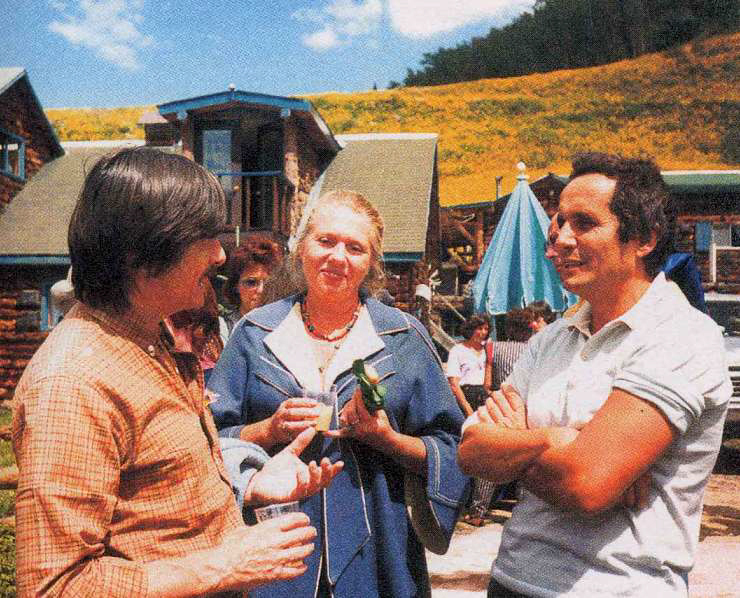 Meeting Andrei Tarkovsky was born shortly thereafter. This documentary film is an account of Dmitry Trakovsky's exploration of one of Tarkovsky's most enigmatic declarations: that death does not exist. Structurally, the films narrates through a series of interviews that gradually take us from Los Angeles to Yurevets, Tarkovsky's hometown. 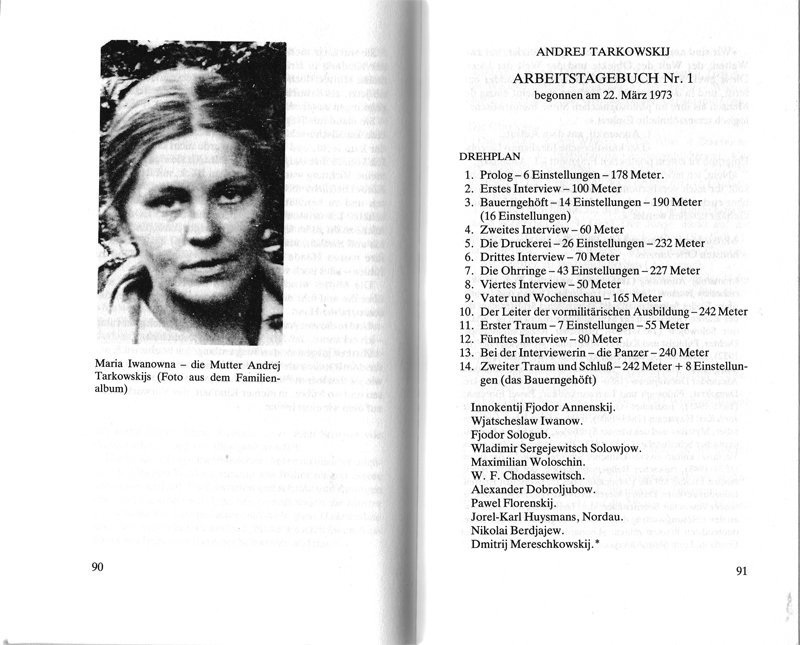 Among the many people interviewed by Mr. Trakovsky are Andrei Andreevich Tarkovsky, Krzysztof Zanussi, Erland Josephson, Donatella Baglivo, Franco Terilli, Manuele Cecconello, and Domiziana Giordano. The editing of the film was supervised by Michal Leszczylowski, co-editor of The Sacrifce. Dmitry has submitted a work-in-progress screener to several film festivals and is about to begin post-production. Some additional funding is still required in order to complete the project. Please support Dmitry by joining his Meeting Andrei Tarkovsky facebook group (currenly 500 members and counting — the group provides running production updates, screenshots, and more), and by sending any suggestions in regards to funding, festivals, or distribution to Dmitry at email dmitry.trakovsky@gmail.com. A preliminary press-kit can be found here [PDF]. The 2nd International Tarkovsky Film Festival took place in Ivanovo May 26 to June 11, 2008. Andrei Rublev Director of Photography Vadim Yusov turned up in order to screen his recent digital restoration of Andrei Rublev. This version supposedly contains additional material and "reflects Tarkovsky's original intentions". We have no further details (or comments) at this point in time. surprise. I've watched it and this is by far my favorite master until now. minor and the DVD is gorgeous to me. The best to date in Region 2 and PAL, with french subtitles. (For information about other DVD versions of Nostalghia, see our September 4, 2007 (scroll down on this page) and July 31, 2005 news updates. See also October 20 and 31, 2005 news entries, as well as the surprising May 25, 2004 update which we hope to update you again on, soon). Opfer (The Sacrifice) was also released in Germany, back in April. Details here. This 2-disc DVD set is released by absolut MEDIEN in Berlin. Also have a look at their interesting catalogue [PDF]. that I hope you will find interesting. 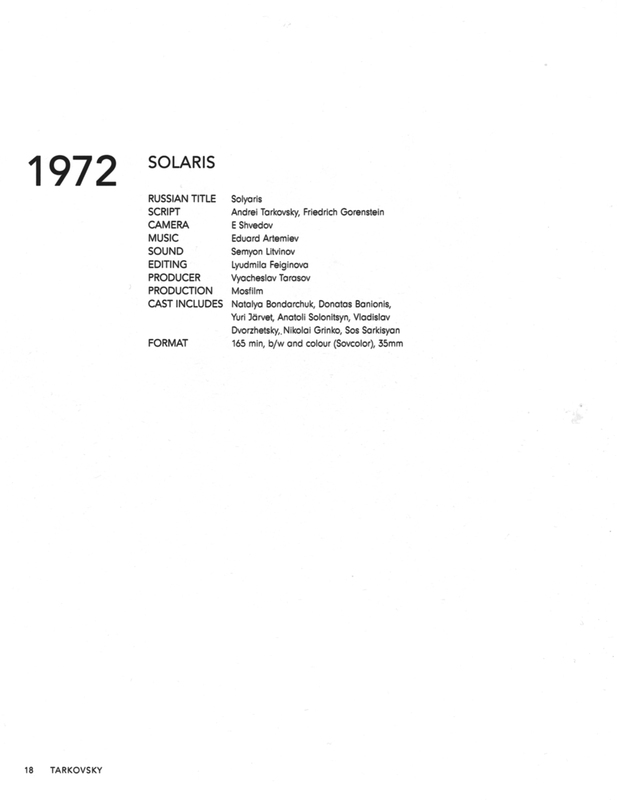 and is in the book called, "Picturing Russia Explorations in Visual Culture"
stills from "Solaris" in the centre of the book. Fascism. I haven't read any of these articles yet. Some of our readers have asked us about the differences between the books Instant Light (Thames & Hudson) and Bright, bright day (White Space Gallery). We have had the chance to review both books and can confirm that they are indeed very different. While the former preserves the original size of the Polaroids, the latter reproduces them in glorious full-page format (making it, in a sense, more of a coffee-table book). As well, the actual photo selection is somewhat different, and the selection of essays and interviews is different. Here is a scan of the title page, which also provides a table of contents. The cover is here. 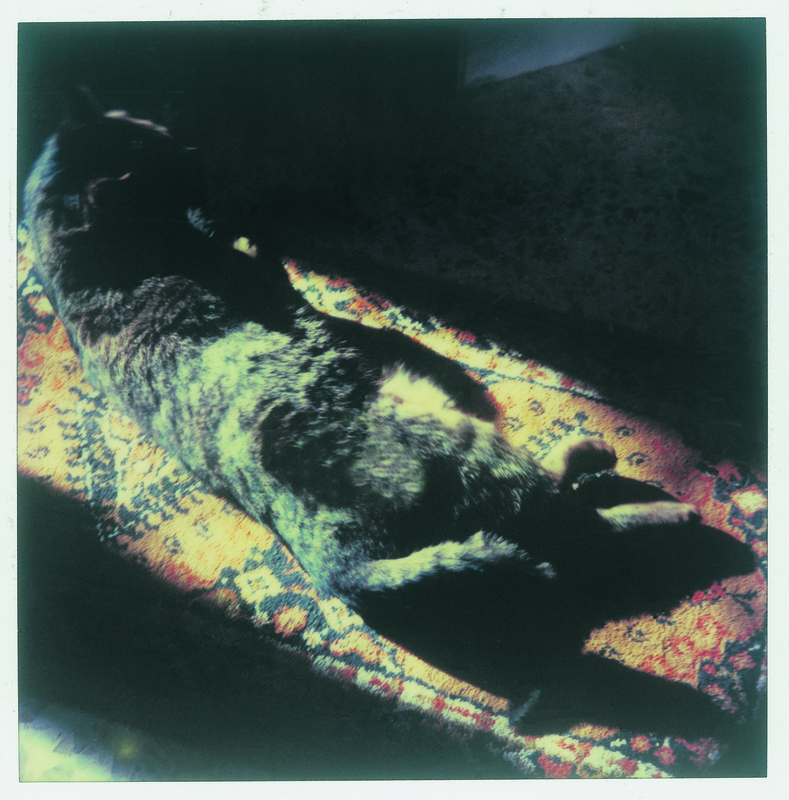 And, here is a sample Polaroid (2640x2676 pixels), kindly provided by the White Space Gallery. The book comes highly recommended. White Space Gallery informs us that it has also recently been published in Russian. This year's Moscow International Film Festival (MIFF) premiered a fascinating new documentary, Rerberg and Tarkovsky: The Reverse Side of Stalker (Igor Maiboroda, 2008, 140 min), a film about Tarkovsky's feud with cinematographer Georgy Rerberg. 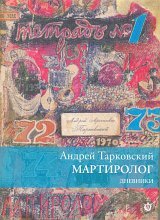 Site visitor Pilar Carrera informs us that she has recently published an essay about Tarkovski. 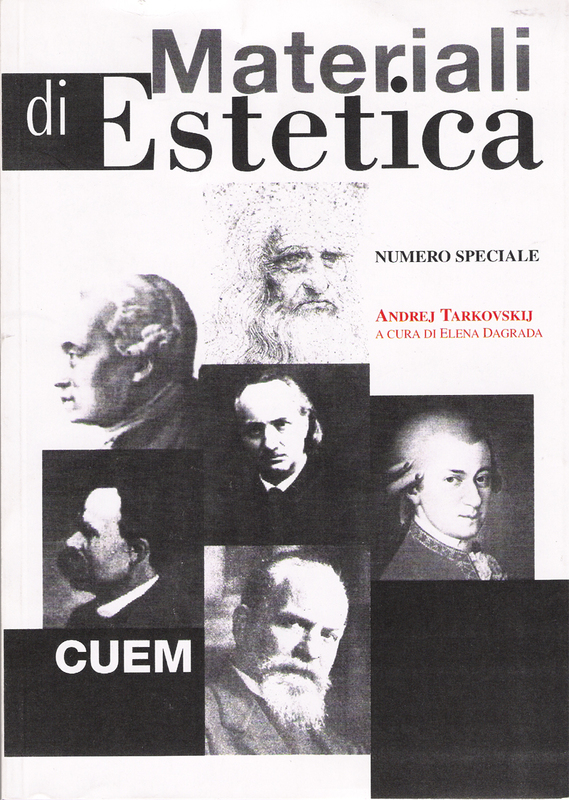 The essay, written in Spanish, is called "Andrei Tarkovski. La imagen total". It can be purchased via this link. It is published with support from Fondo de cultura económica. Guido Gräsel of Germany sent us a collection of beautiful East German (GDR) lobby cards. We are pleased to present them, here. Thanks, Guido! Black Dog Publishing is offering our readers a special academic discount of 40% on all orders for the book Tarkovsky [Dunne, ed., 2008]. Considering the above mentioned discount, there should be no excuse for not picking up this truly excellent — we dare say essential — tome, which we have already made frequent reference to in this news column. Here is a brief review. Tarkovsky [Nathan Dunne (ed. ), 2008] is filled with easily readable, challenging essays which explore possible new inroads to Tarkovsky's works while raising awareness of his contribution to the language of cinema. The degree of rigor and experimentation seen in these essays is, frankly, quite refreshing, and the book succeeds quite well in establishing a framework within which future research on Tarkovsky can be undertaken in a more truly interdisciplinary context. 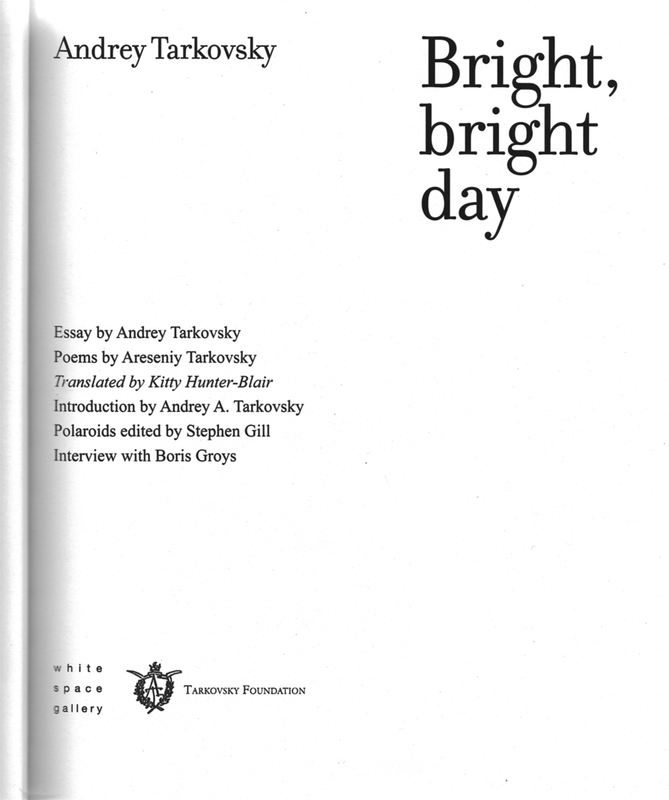 The book is richly illustrated, it contains a filmography, a timeline, a genealogy, as well as excellent new translations of the poems of Arseny Tarkovsky appearing in Tarkovsky's films. 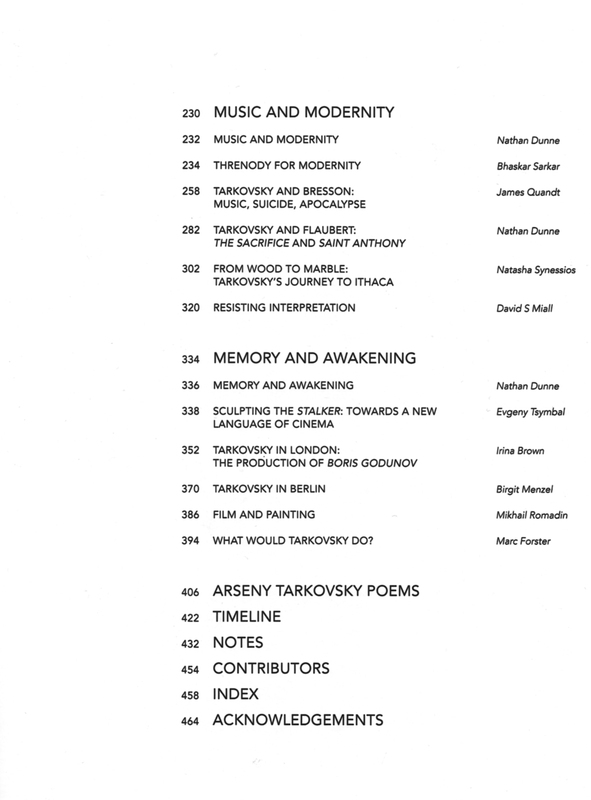 The book is divided into four sections, each organized according to certain themes and ideas [ Table of Contents: Pg. 1 | Pg. 2 ]. The section Russia and Religion attempts to examine Tarkovsky's journey into religious themes and ideals. The section Art and Nature explores from various angles the line of intersection of the two planes of Art and Physical phenomena, as seen in his oeuvre. The third section, Music and Modernity, investigates the role of music in his films, and its implications of influence and interpretation. James Quandt's essay Tarkovsky and Bresson: Music, Suicide, Apocalypse is particularly interesting. The final section, alone worth the price of the book, Memory and Awakening, contains a series of memoirs from crew members, students, and fellow directors. For example, Stalker's production process is set out in detail. Marc Forster also contributes an essay to this section. 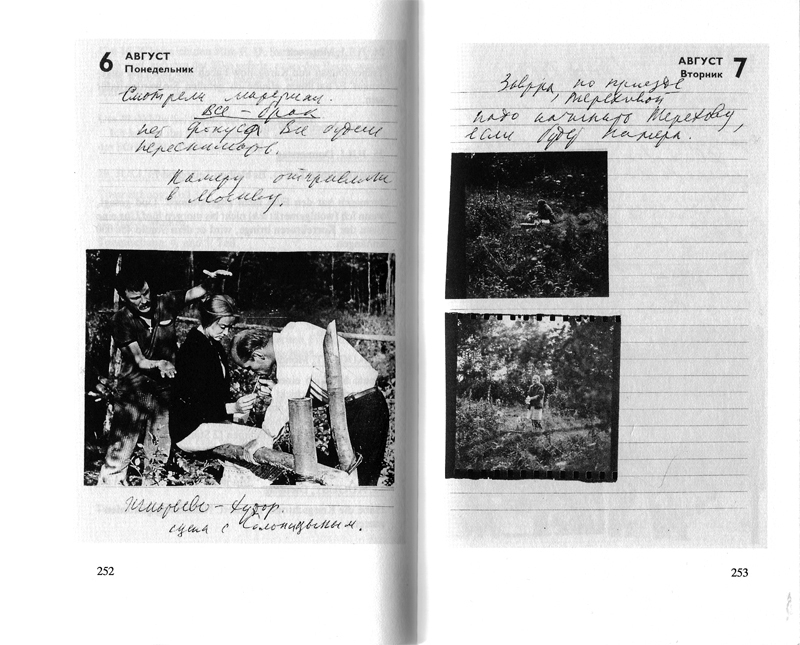 We're proud of the fact that, in the Introduction section, when describing KGB's surveillance of Tarkovsky and his family, Mr. Dunne uses an excerpt from Tarkovsky's Diaries [ August 7, 1983 ] which is found only on Nostalghia.com. This intriguing entry (which presumably refers to the KGB) is omitted from the officially released, "definitive", versions of the Diaries. Here are some high-res (1800 x 1200 pixels) press photos issued in connection with the book's release, for your enjoyment: [ i | ii | iii | iv | v | vi | vii | ix | x | xi | xii | xiii ]. The quality level of academic analysis and discussion is consistently high, but often when technical detail, or easily verifiable facts, are dealt with, there are numerous, easily spotted errors. The book contains an illustrated filmography, an example page of which is shown here. 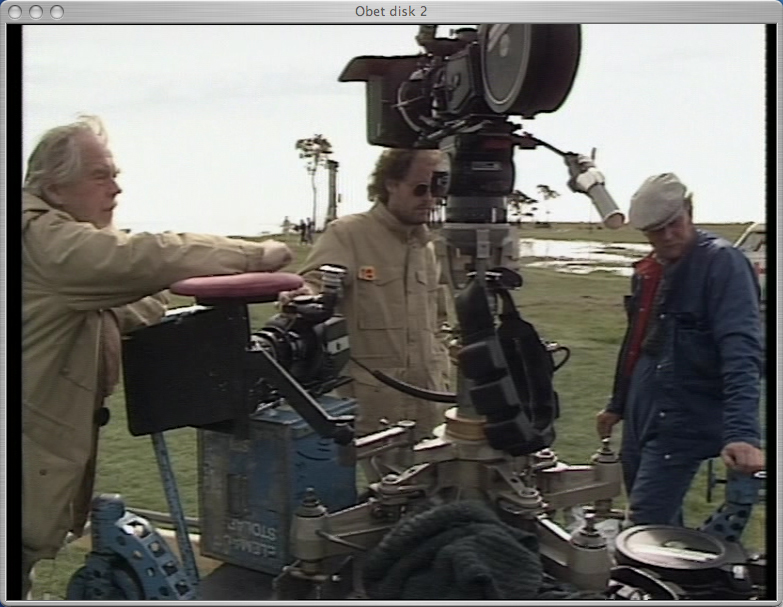 Vadim Yusov would be horrified to find himself replaced by one E. Shvedov as the camera operator. Layla Alexander-Garrett (interpreter on the set of The Sacrifice) sums up some of these concerns in this piece, wherein she also issues a call for higher standards in academic works, in an effort to prevent the perpetuation of factual inaccuracies. The Introduction claims that the famous Sartre letter has been translated into English for the first time, for this book. However, we have had a faily decent translation of the Sartre letter on our site for more than half a decade. Finally, a few of the photographs in the book are marred by colored Moiré patterns. The publisher responded to our concern as follows: "Regarding the colour registration issue, its something we are aware of and concerns the original images supplied to us, they were shots taken of a screen showing the film. In the advent of any further printing of the book this would be rectified through further picture research to obtain alternative images to replace them with." Having said that, this book is essential and definitely not to be missed! 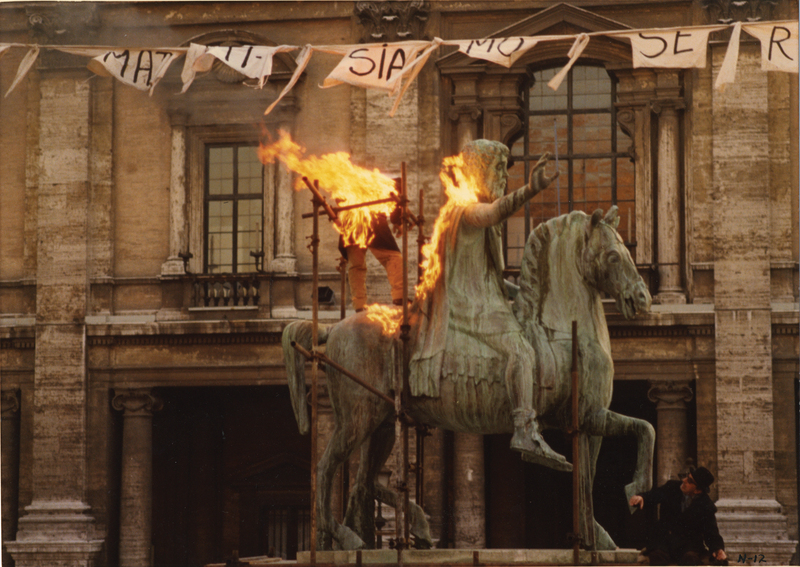 Petr Gajdosik of nostalghia.cz provides a short review of the Russian edition of the book Il cinema di Tarkovskij e la tradizione russa by Simonetta Salvestroni (see our April 14, 2006 update). And here is a travel log from Petr's trip to Fårö. The Netherlands Socety of Cinematographers has a page referencing our piece on Sven Nykvist's book, here. Russa! Magazine is both fun and clever (for those so inclined). They recently included some Tarkovsky related content — see the poster featured on this page. You may have to look closely to spot it. The following just in from artist Cecilia Westerberg. Stunning! the composition in the images are so strong. 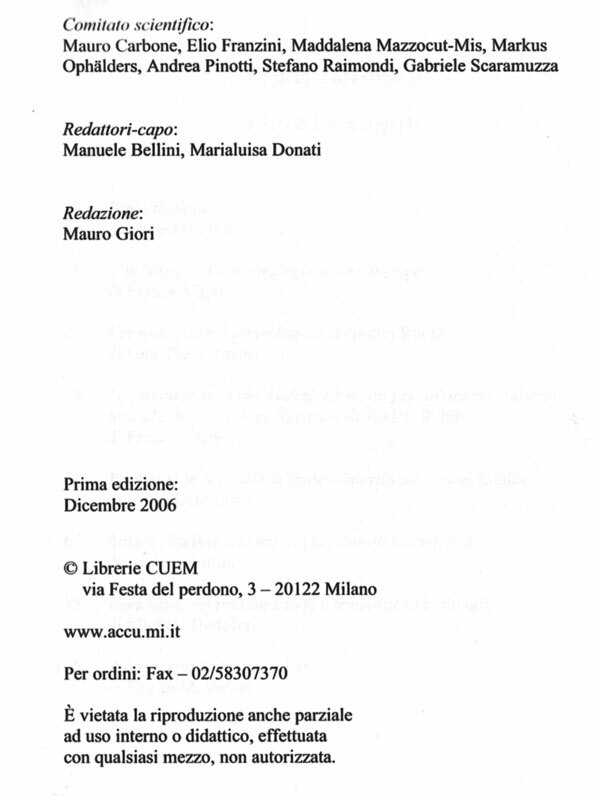 I have attached a low quality pdf file but can mail better quality if needed. We received the following request from Terence McSweeney. We encourage those of our readers so inclined to get in touch with him asap. Spirituality in Masters of World Cinema due in early 2009.
or as much detail as the reader prefers. recordings for a homage to Tarkovsky. The compilation is available as a free download at the site below. The Institute will then provide the necessary money transfer information. Italian customers can use the "contrassegno" payment. Our quick look at this edition can be found here. The April 2008 news update from Les Amis de l'Institut Andreï Tarkovski can be found here [PDF format]. Further publications are planned: Sculpting in Time, then a screenplay collection as well as the work diaries (presumably for Mirror and Stalker). in which they put both Tarkovskys and myself, and which Tom drove at first. wife, and also, if I remember correctly, another couple from Israel. nose this sort of landscape and never being able to photograph it properly?! the Ghost appearing to Hamlet. 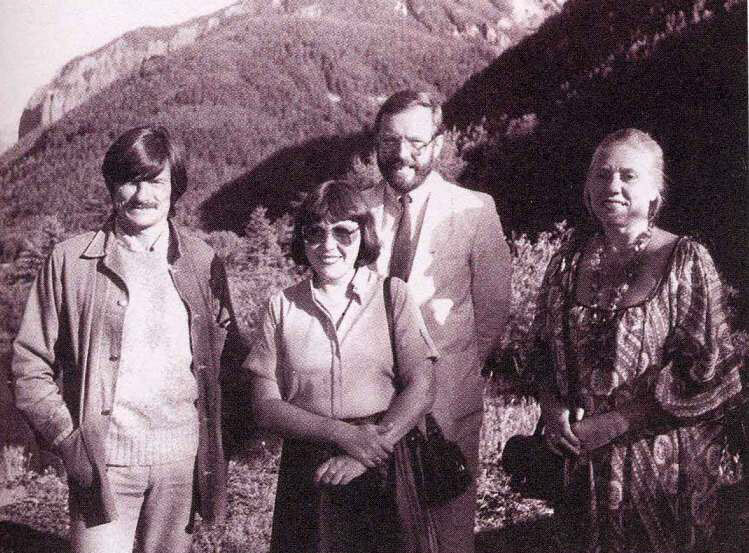 Two photos from Olga Surkova's book: Image 1 (from L to R: Andrei Tarkovsky, Olga Surkova, Krzysztof Zanussi, Larissa Tarkovskaya), Image 2 (Andrei, Larissa, Marco Bellocchio). great work at Nostalghia.com (you have many readers here among my friends). I just thought I would pass on this link. in Berlin and was distributed in the US by Francis Ford Coppola's Zoetrope. on the editing table; often changing the context of the images to suit his fancy. the US on the way to the Telluride Film Festival in 1983.
out soon later), and simply saw him as a quiet and gentle filmmaker from Russia. 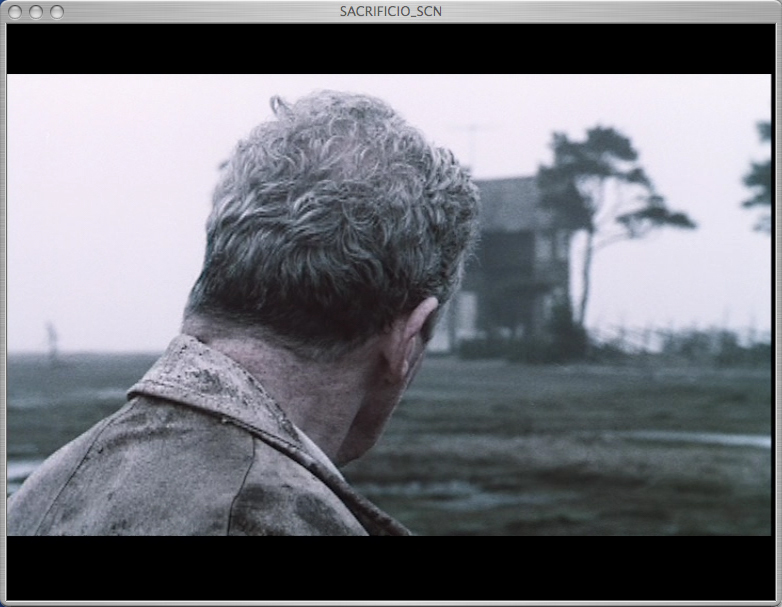 and put it in his film, referring to Tarkovsky in it as "the seeker". the Jury in 1986 that awarded the Sacrifice the Grand Prix Spécial du Jury. together a Tarkovsky retrospective here someday. to the great movie that was partly shot in that area. shot here," marketing manager of the company Marika Mäsak says. whole area is planned to be car-free. In addition, Bernard Beck provided us with this link. We saw this article and thought of Andrei Rublov. We are pleased to present a new, fascinating article by Mark Le Fanu and Sally Laird: The Tarkovsky Family Background. Tarkovsky (Nathan Dunne, ed.) was the Book of the Month in the May issue of Sight & Sound, which also carried a long review. The Times provided a review of the book (as well as of Robert Bird's book) this past Saturday. There are also some comments in the Scottish periodical The List. 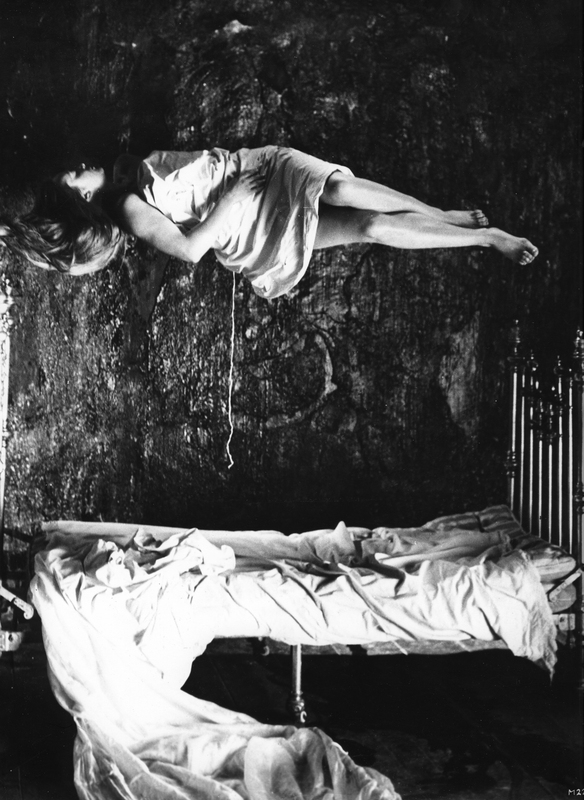 The full program of the Tarkovsky Tate event can be seen here. A very interesting list of speakers has been confirmed, and we are told that tickets are selling fast. We regret to inform you that Aleksandr Misharin died in Moscow on Sunday April 13. He was born on April 6, 1939. A Russian news item may be found here. Thanks to Eugene Starostin of London, England for the pointer. 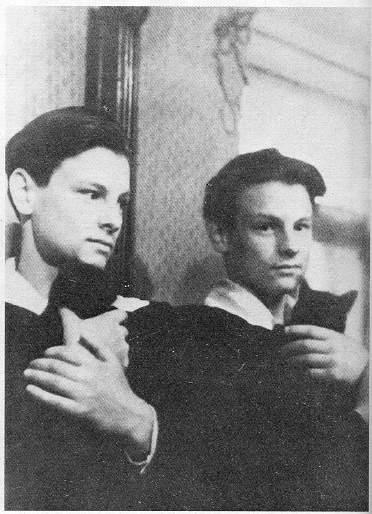 Aleksandr Misharin worked together with Tarkovsky on the script of Mirror. 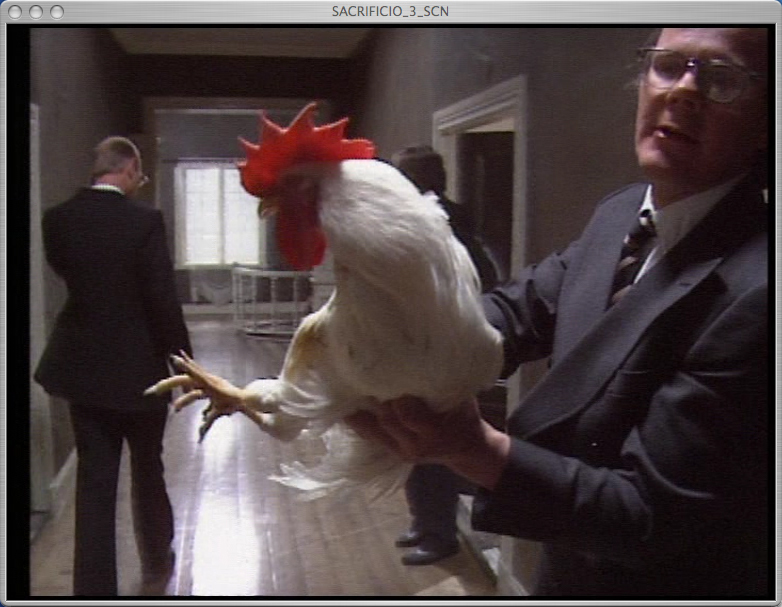 He had a cameo in Solaris and can be spotted as the doctor at the end of Mirror. There is an excellent 33-minute interview with Misharin on the Artificial Eye Mirror DVD (RusCiCo). He was a Gentleman with class — may he rest in peace. 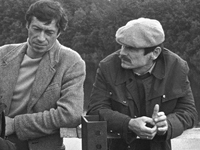 We recently posted a brief Tarkovsky/Abbado related clip on youtube. Claudio Abbado turns 75 this year. There is another interesting Tarkovsky related item here. We have had the chance to take a first-hand look at the new Czech release of The Sacrifice (Zona-Aerofilms, 2008). This is a 2-disk set which includes as bonus materials Michal Leszczylowski's documentary, the documentary Sätta Ljus, (Lighting), as well as text biographies. 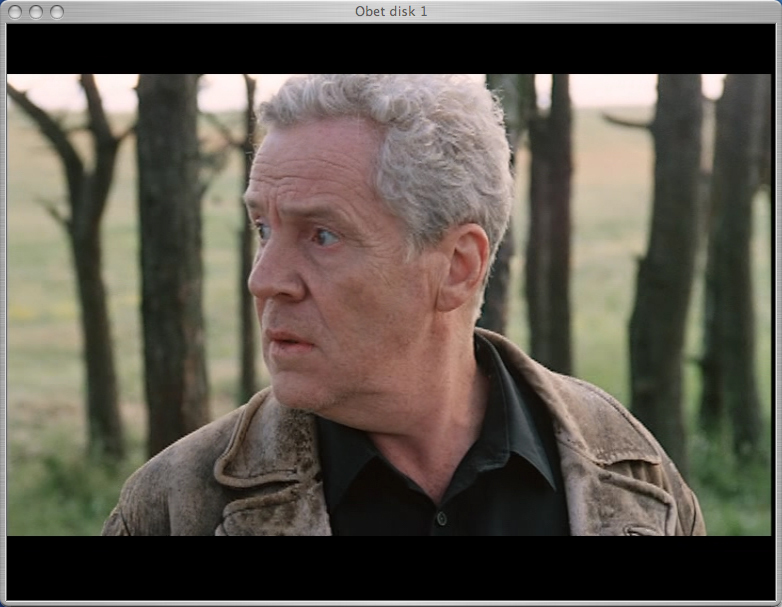 Czech subtitles can be turned off, and the DVDs are PAL, Region 0 (i.e., no region coding). We compare it to the Spanish Collector's Edition, which currently may be considered the "Gold Standard" as far as The Sacrifice DVD releases are concerned. The main feature sports wonderful image quality, identical to what is seen in both the Spanish release and in SFI's own DVD release, with very natural skin tones. Differences in image quality between the Spanish release and the Czech release are non existent: [ Spanish | Czech ]. The release avoids all the problems associated with some earlier releases: [ example i | example ii | example iii ]. The Image quality seen in the Michal Leszczylowski documentary is identical to that of the Spanish release as well (the best available to date). The presence of the priceless documentary Sätta Ljus — which appears to be below the radar beam of every major DVD production company (who understandably enough don't have the resources to follow Nostalghia.com on a regular basis) — always bears witness to the fact that there are real Tarkovsky devotees behind the production of the DVD. In the case of the Spanish release, it was the always enthusiastic Gonzalo Blasco. In the case of this Czech release, it is the equally enthusiastic Petr Gajdosik and Petr Soukup. Kudos to these guys!! The image quality on this documentary is identical to that of the version appearing on the Spanish release, except for a minor problem with the original beta tape resulting in synchronization problems at the very bottom of the frame throughout, not seen in the Spanish release. More information about the Czech release here. Purchase link, here. In a posting from year 2006 you asked for translation of an Estonian webpage. tube under the building of hydroelectrical plant, where "Stalker" was shot. they arrived. These filmmakers didn't know that "Stalker" was filmed there. More images of the cache-hiding-trip can be seen here. Tarkovski!". See here and here. tourist attraction for Stalker fans instead of working hydroelectrical station. is no way the water could be poisonous enough to cause cancer. Otherwise the population downstreams must be dead long ago. The book Tarkovsky, edited by Nathan Dunne, is hitting the shelves as we speak. The book is featured in The Independent as one of The Ten Best Film Books. The Creative Review website features an excerpt. The Telegraph has posted a special picture gallery. The book is available via amazon. Please also consider joining Nathan Dunnes excellent Tarkovsky group on facebook, for updates on related Tarkovsky events in the U.K. The Art of Andrei Tarkovsky, a symposium examining Andrei Tarkovsky's films in the context of contemporary art, is set to take place on Friday May 9th. Additional details and a complete programme may be found on the Tate Modern website. There's yet another interesting conference on May 10th, at Queen Mary College in London. Details here. Robert Bird is organizing a small symposium dedicated in large part to Tarkovsky's 1983 production of Boris Godunov. The symposium, Performance and Mediation: At the Interstices of Opera and Film, takes place at The University of Chicago on May 3rd, 2008. Here is a preliminary program [PDF]. A copy of Robert Bird's book Andrei Tarkovsky: Elements of Cinema has landed on newsdesk. Beautifully illustrated, and printed on high-quality glossy paper, this book is highly recommended for all those who love the works of Andrei Tarkovsky and are interested in an analytical approach to the poetics of his films. The book is available at amazon.ca, at 35% off. Also available through amazon.com, amazon.co.uk, etc. 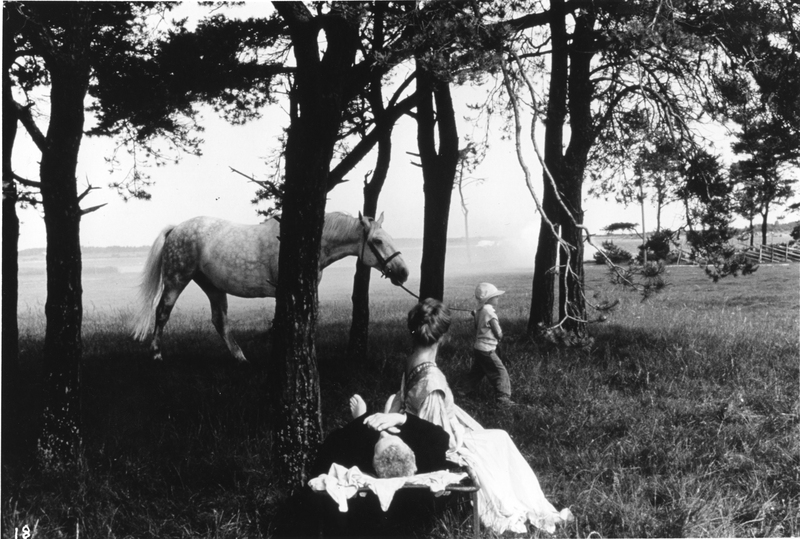 The Danish company Another World Entertainment released five Tarkovsky titles on March 10th. They are all RusCiCo transfers. Details here. Thanks to Nicolai Fentz of Denmark for the update! We regret to inform you that Sofiko Chiaureli (Sayat Nova) recently passed away. Some kind soul posted a small memorial on youtube. 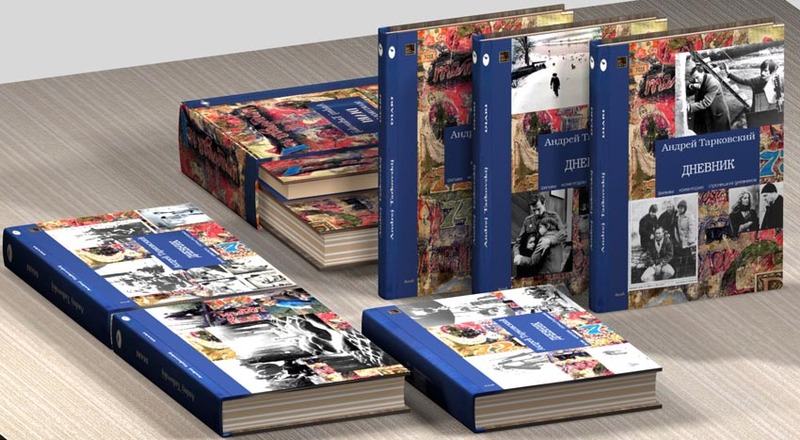 There is a documentary about Tarkovsky and Paradjanov on Kino's new Paradjanov box set. For details, see the DVDBeaver review. Thanks to Eric Levy of Chicago for the pointer. More about the above mentioned documentary in the following note from site visitor Tony Partridge. We welcome additional information on this documentary from our readers. if you know about this documentary so I thought it worthwhile contacting you about it. 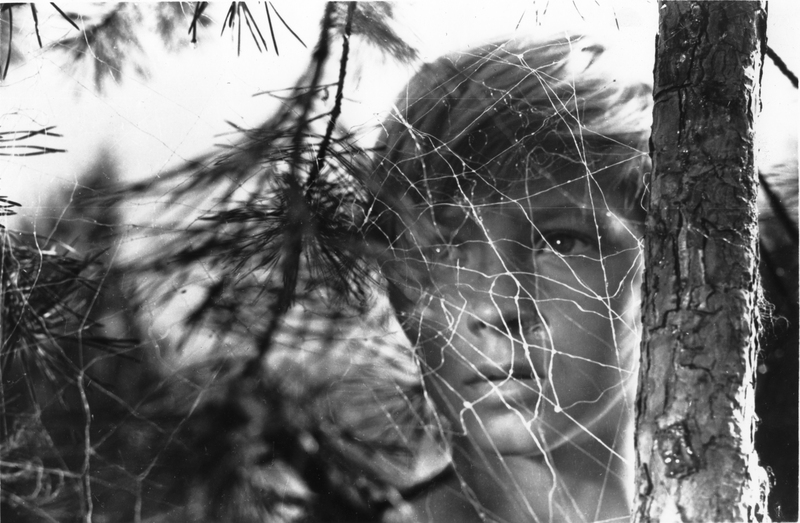 only those who had seen Tarkovsky's Ivan's Childhood." Another Parajanov DVD set has recently appeared on Ozon: Part 1 and Part 2. 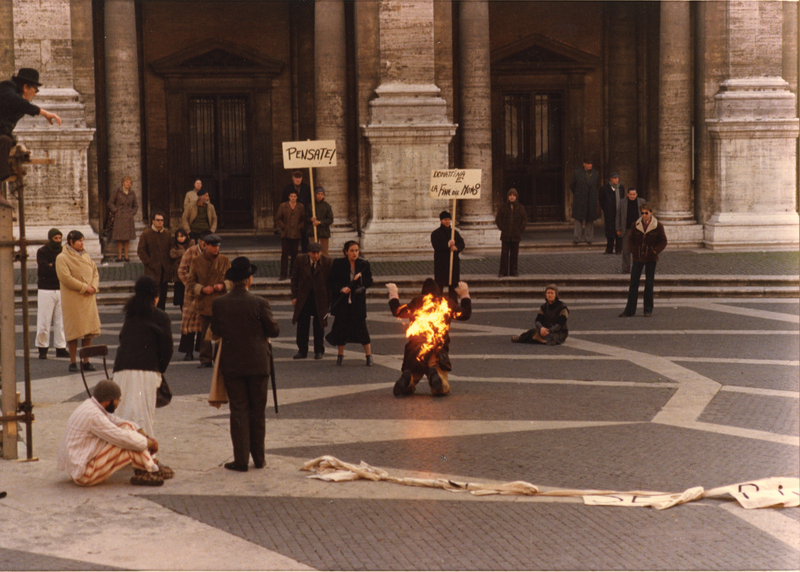 Nostalghia.cz has a review. Ok, how about a wonderful 2000 x 6000 pixel Solaris poster [5 MB], courtesy of site visitor Guido Gräsel of Germany? Thanks, Guido! The poster will be added to our Posters section upon next update. Those of our readers who appreciate Tarkovsky and Sokurov may also appreciate Italian director Manuele Cecconello's stunning Olga and Time, which won the prize for "Best Long Documentary" at the VII International Documentary Film Festival "FLAHERTIANA-2007". We received a screener DVD of the film here at newsdesk last year, and urge you to, if at all possible, catch the April 5 screening at The British Museum. Details here. as well as Czech directors (Vlacil, Zabransky, Tyc). Here is an English summary [PDF]. P.S. : Petr of nostalghia.cz has also posted a travel log from his summer road trip across some relevant parts of Russia: part i | part ii. 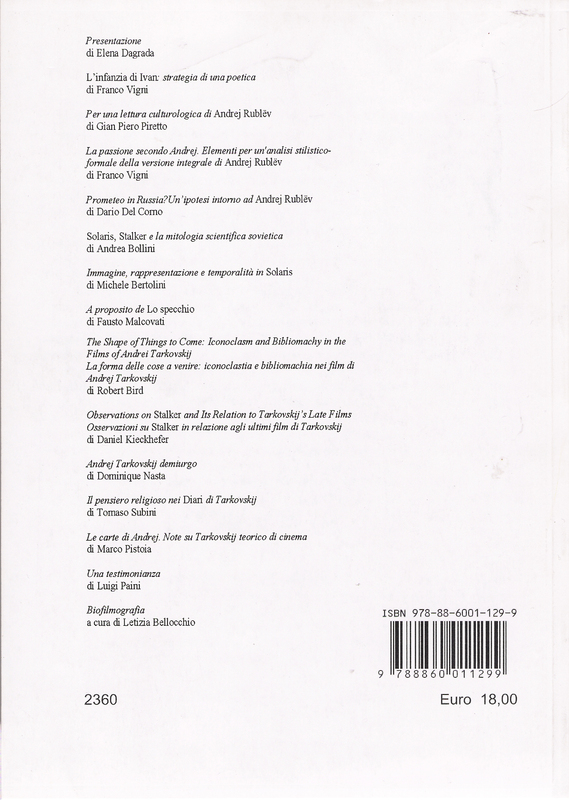 Our readers might be interested in a recent issue of the Italian journal Materiali di Estetica (no. 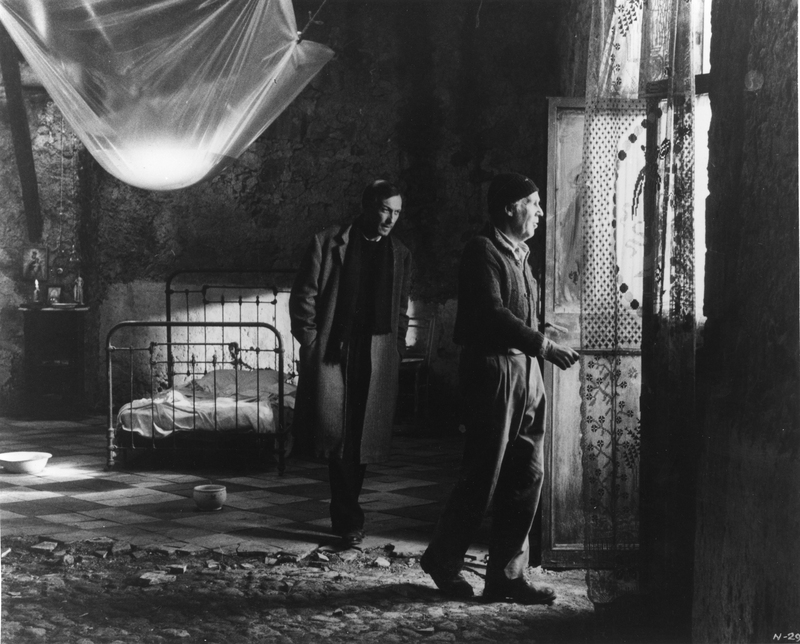 13), which is devoted entirely to Tarkovsky. The volume contains 13 articles, of which two are in English — one by Robert Bird and one by Daniel Kieckhefer (both of University of Chicago). The other articles are in Italian. 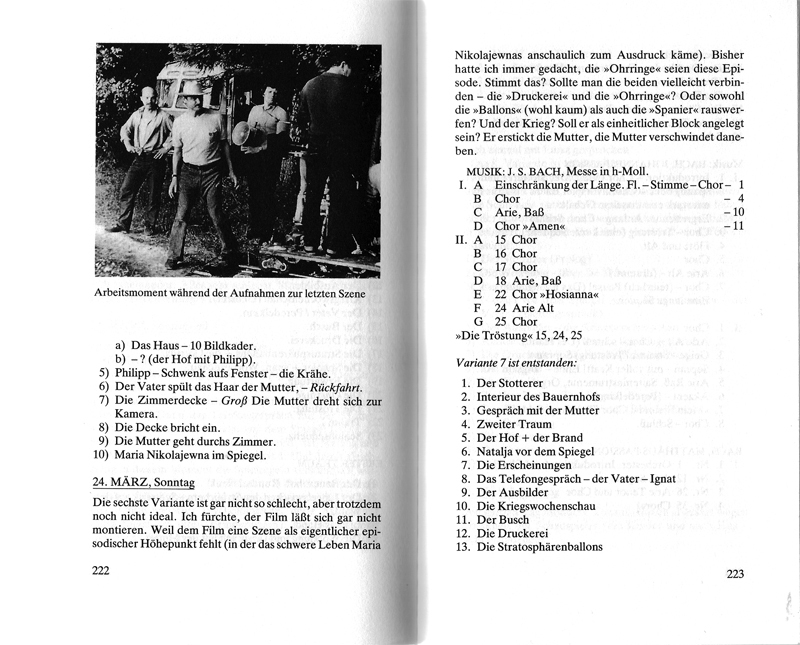 (Bird's and Kieckhefer's excellent papers are published in both languages.) The issue is dated December 2006 but it actually came out July 2007. The publisher is Librerie CUEM, and the journal may be purchased from, e.g., libreriauniversitaria.it (here). Dr. Robert Bird reports that his upcoming book, Elements of Cinema, has been slightly delayed but should be out in late February. In the meantime, MK2 et al. 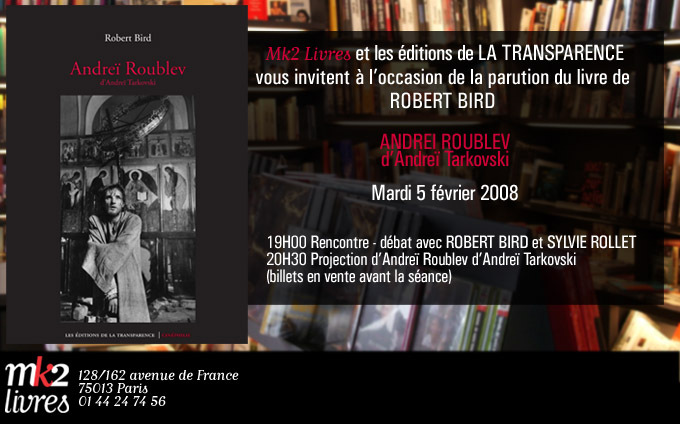 is releasing a French translation of his indispensable little volume on Andrei Rublev. The release will be marked on February 5th by an event in Paris. The documentary film The Mystery of Andrei Rublev recently aired on Russian satellite TV channels. Michal Petricek sent us two snippets from the documentary: [ clip 1 | clip 2 ]. 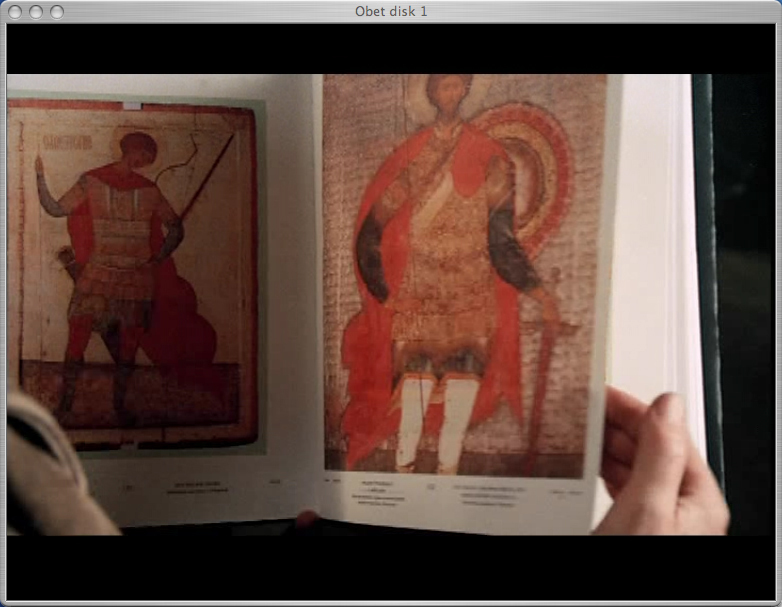 Clip 1 speaks about the original author of the basic idea of shooting film about Andrei Rublev, Vasili Livanov. 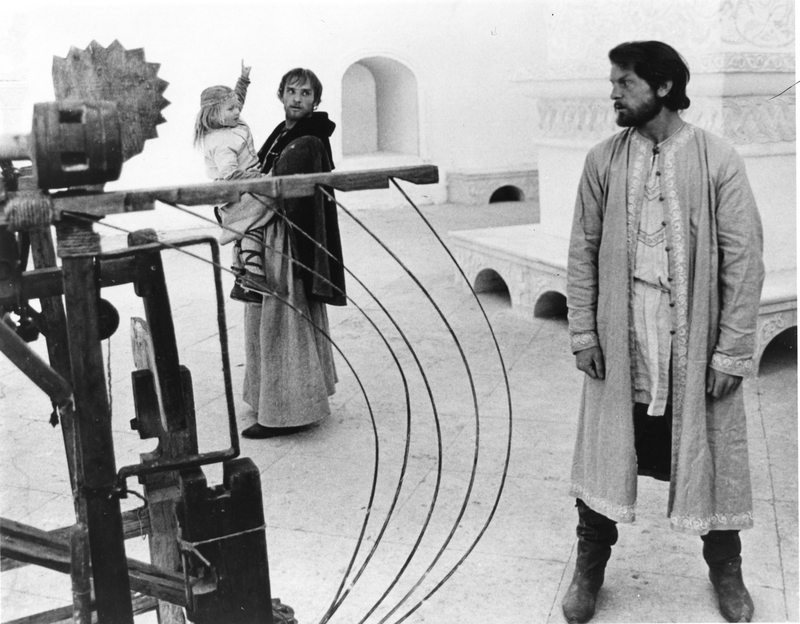 The documentary is, according to Michal, very interesting, in that it reveals several heretofore unknown facts about the circumstances surrounding the production of Andrei Rublev. [UPDATED: Thanks to Marcis Berzins for correcting Mr. Livanov's name for us]. 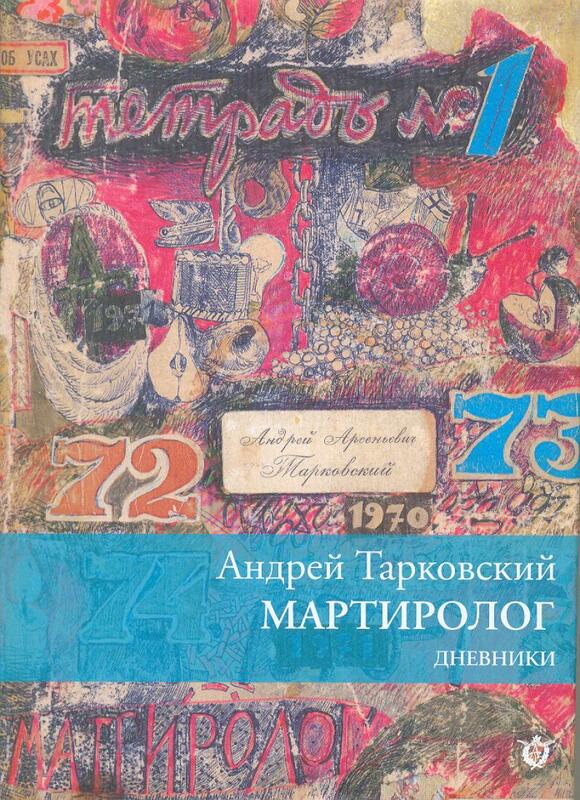 Further to our December 10 update, the cover art for the first Russian edition of Martyrolog (limited to 5,000 copies) can be seen here. Very nice, indeed! Nowhere to be found on ozon.ru,... could some of our Russian friends snag us a couple of copies for our archives, please (reimbursement by PayPal)? Pascal Vandelanoitte of Belgium informs us that an article he wrote was published in Perspectives on European Film and History last autumn. Says Pascal, "In my article, I demonstrate that a deeper knowledge about early Russian history helps to understand Andrei Rublev on a historical level as well, and that in the movie, the historical level about the early birth of a unified Russia and the personal story about Rublev's catharsis are beautifully intertwined and reinforce each other." Site reader Dan Jones recently completed his Ohio University Ph.D. dissertation on Andrei Tarkovsky's films and philosophy. The dissertation may be accessed online, through this link. Many, many thanks to the kind anonymous soul from Norway who sent me Nuri Bilge Ceylan's Distant (Uzak), as well as Pirjo Honkasalo's The 3 Rooms of Melancholia. Most of our readers will already be aware of Ceylan's film, and its Tarkovskyan connections. 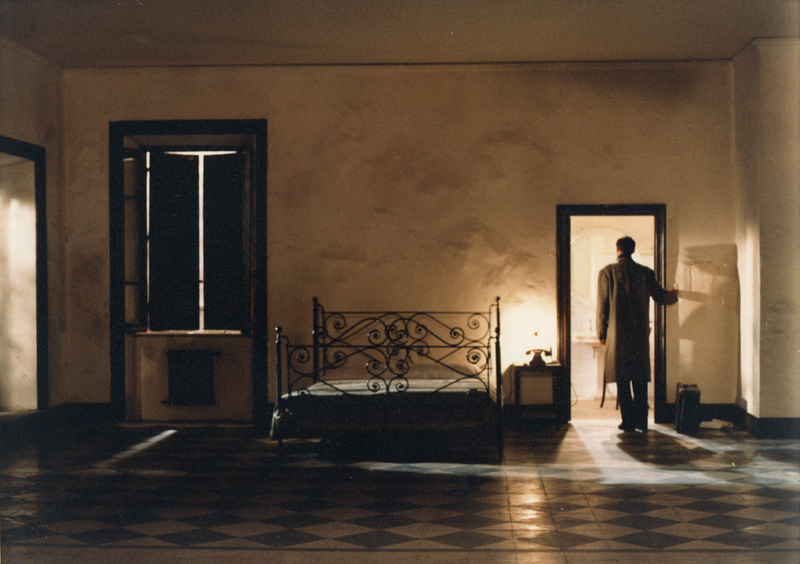 The 3 Rooms of Melancholia is perhaps a lesser-known masterpiece — absolutely unforgettable... comes highly recommended! —Trond. The Friends of the Tarkovski Institute has announced three concerts/multimedia performances featuring the François Couturier Quartet. The events, which take place on January 15, 16, and 17, are described in the Institute's most recent circular [PDF]. We also note that the François Couturier Quartet appeared on Deutchlandfunk's Jazz Live, on June 11, 2007. Listen to their performance of Nostalghia, taken from said radio broadcast (monaural). 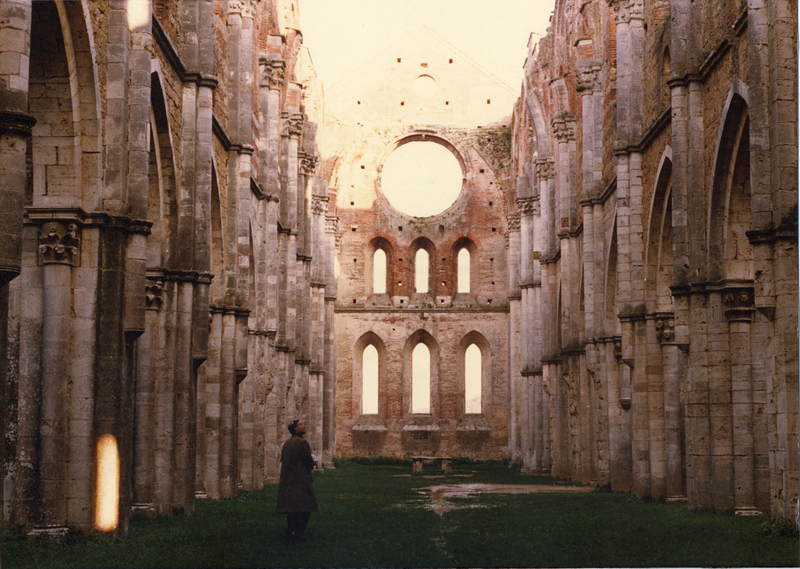 Also check out their excellent record on the ECM label, Nostalghia: Song for Tarkovski. Mark Le Fanu recently contacted us, asking whether we would be interested in publishing an essay he wrote after interviewing Vadim Yusov (left) in London late last year. The interview, which provides us with a number of fascinating new insights into the making of Andrei Rublev, is located here — a Nostalghia.com exclusive. 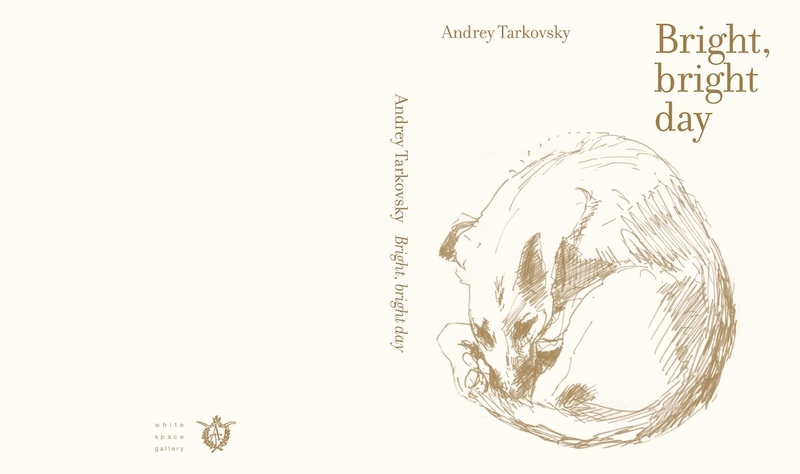 Black Dog Publishing are set to release Tarkovsky next month, a comprehensive new collection of what appears to be eminently readable essays on Andrei Tarkovsky from some of our favorite academics. For further information on the book, check out the publisher's website. A new Polish edition of Sculpting in Time has just been released. Translation is by our longtime collaborator in Poland, Dr. Seweryn Kuśmierczyk. Details here. Cover art here [PDF]. 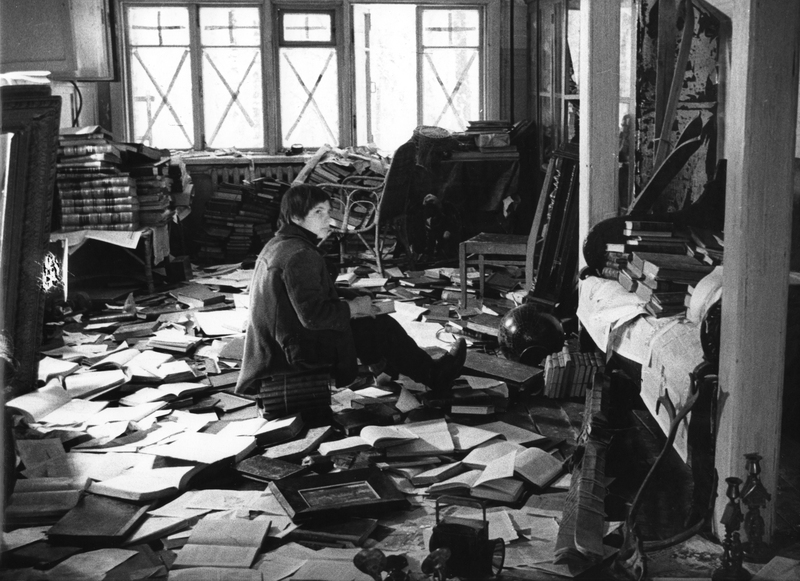 Tarkovsky's The Mirror will be screened at the Tromsø International Film Festival as a part of their 100 ÅR MED RUSSISK FILM program. The festival runs from January 15–20. Screening times for individual films will appear on their website. Thanks to Alex Muller of Portland, Oregon for the heads-up. We received the following note from site visitor Tony Partridge in Ireland. artist Jeremy Millar's 'Mirror-Time' art work based on Tarkovsky's Zone from Stalker. is much more than this. It is essentially a meditation on 'freedom' and Tarkovsky. The following just in from Daniel Graham of Artificial Eye. 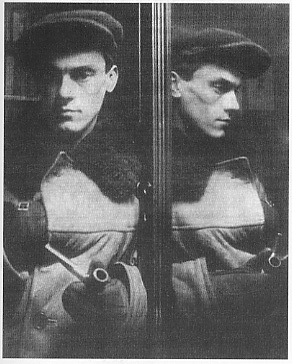 There are two photos in our Photos section featuring a mirror effect: Arseni and Andrei. Vlad Baranov wrote to tell us that there is an article about the photographer — Tarkovsky's godfather, Lev Gornong — and his photos, here. Site visitor Bryan Rodrigues pointed us to this interesting article in the Telegraph. Regular contributor Bernie Beck of El Sobrante, sent us this link to an article about Arseny Tarkovsky's 2007 centenary. We received the following note from Randolf Smeets. in chronological order. So far I've made three pieces: Stalker, Ivanovo Detstvo and Offret. be delighted of you'd inform me what you think of it. Thanks for your time.